Includes morning tea, lunch and afternoon tea. Includes morning tea and lunch. This conference will explore, examine, critique, theorise, and respond to key issues related to mothering in the contemporary globalised world, with a focus on neoliberalism, individualisation, and the emergence of new technologies. How motherhood is experienced, constructed, and contested in contemporary society has been conceptualised in numerous ways since Rich’s (1976) foundational work on the ‘institution’ of motherhood. These include ‘intensive mothering ideology’ (Hays, 1996), ‘the new momism’ (Douglas & Michaels, 2004), and the ‘good mother’ concept (Goodwin & Huppatz) among various others. Yet, old myths of motherhood continue to be perpetuated and mothers continue to face stigmatization and marginalization. 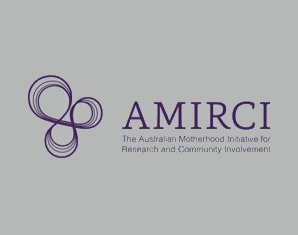 This conference is interested in the ways motherhood exists today within social, cultural, political, and economic milieus that prioritise neoliberal and individualistic ideals, while simultaneously maintaining the expectations of intensive mothering. Topics include but are not limited to: how motherhood and individualism impact on identity, agency, self-care, and subjectivity; mothering in response to new technologies and online worlds; maternal activism and advocacy; embodied motherwork including pregnancy, birth, and breastfeeding; motherhood and paid employment/volunteering; mothering of young adults and/or ageing parents; motherhood and disability; understanding family violence including surveillance and judicial systems. Wednesday July 10: 9am - 5pm. Registrations begin at 8.30am. Dr Klein is a long-term women's health researcher and has written extensively on reproductive technologies and feminist theory over the last thirty years. A biologist and social scientist, she was Associate Professor in Women's Studies at Deakin University in Melbourne. She is a co-founder of FINRRAGE (Feminist International Network of Resistance to Reproductive and Genetic Engineering) and an original signatory to Stop Surrogacy Now. Her latest book is Surrogacy: A Human Rights Violation (2017). Dr Petra Bueskens is an Honorary Fellow in the School of Social and Political Sciences at the University of Melbourne, a psychotherapist in private practice, and a freelance opinion writer. Petra writes about motherhood, gender relations, social and political theory, basic income and psychotherapy in both scholarly and popular fora. Her books include Modern Motherhood and Women’s Dual Identities: Rewriting the Sexual Contract (Routledge 2018), the edited volume Motherhood and Psychoanalysis: Clinical, Sociological and Feminist Perspectives (Demeter, 2014), and two forthcoming edited volumes Nancy Chodorow: The Reproduction of Mothering: Forty Years On with Tanya Cassidy and Australian Mothers: Historical and Sociological Perspectives with Carla Pascoe Leahy. Her opinion pieces have appeared in New Matilda, The Conversation, The Huffington Post, Arena Magazine and more. Prof Cox AO is an influential Australian feminist, academic, public commentator, social and political researcher, and community change agent. She has worked as an academic, political adviser, public servant, and runs a small research and policy consultancy. A sociologist by trade, she promotes ideas widely and eclectically in books, online, in journals and other media. She is sociologist, researcher, AO and ABC Boyer Lecturer on A Truly Civil Society (1995), a fellow of the Centre for Policy Development, and a professorial fellow at Jumbunna Indigenous House of Learning (UTS). Prof O'Reilly is Professor in the School of Gender, Sexuality and Women’s Studies at York University. O’Reilly is founder and director of the Motherhood Initiative for Research and Community Involvement, founder and editor-in-chief of the Journal of the Motherhood Initiative, and founder and publisher of Demeter Press. She is co-editor/editor nineteen books including Feminist Perspectives on Young Mothers and Young Mothering (2019) and is author of three monographs including Matricentric Feminism: Theory, Activism, and Practice (2016). She is editor of the first Encyclopedia (3 Volumes, 705 entries) on Motherhood (2010). She is a recipient of the CAUT Sarah Shorten Award for outstanding achievements in the promotion of the advancement of women in Canadian universities and colleges, is twice the recipient of York University’s “Professor of the Year Award” for teaching excellence and in 2014 was the first inductee into the Museum of Motherhood Hall of Fame. Wednesday and Thursday Entry includes morning tea, lunch and afternoon tea. Friday Entry includes morning tea and lunch.